Light acacia wood. A zen silhouette. A dark woven seat. 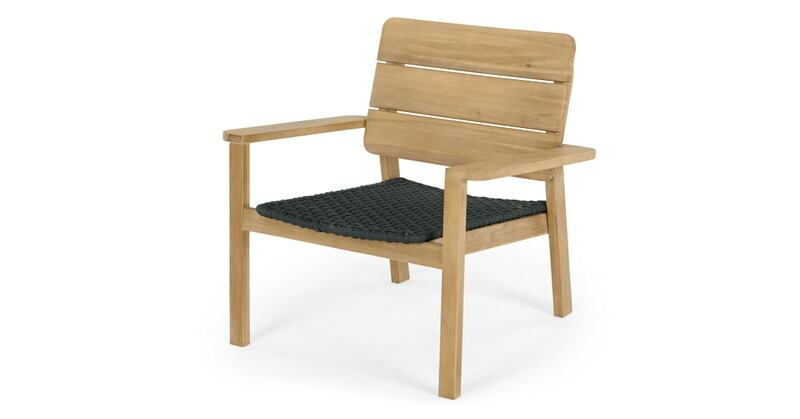 There's lots to love about our Jala outdoor lounge chair. Low-profile arms and a gently angled back make the Jala lounge chair comfy – perfect for long summer days spent outside. And with room for two.